Autumn (and Election Day) is coming to Saxbys Coffee. 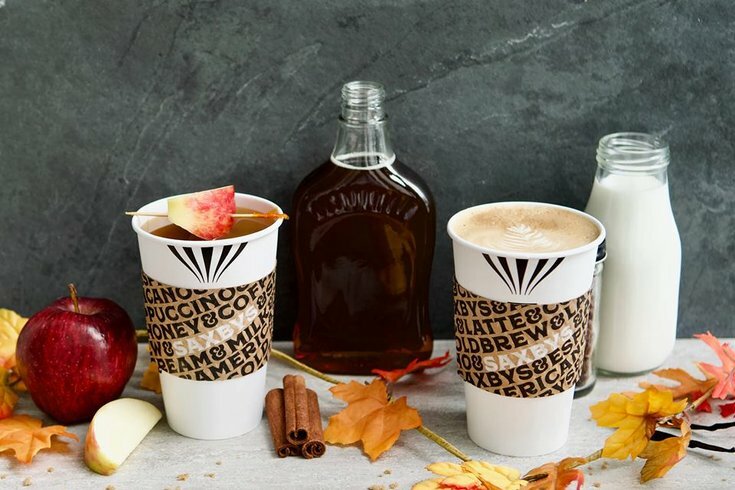 With the midterm elections less than a month away, Philadelphia-based coffee chain Saxbys is the latest brand to encourage voter turnout in return for sweet, sweet deals. On Election Day, Tuesday, Nov. 6, customers who stop by Saxbys sporting an "I Voted" sticker can treat themselves to one of two free drink options – so make sure your polling place doesn't skimp when it comes to stickers. Voters can opt for either an ultra autumnal maple bourbon latte, size medium, or the organic, vegan, and extremely green Groothie smoothie, free of charge. Saxbys is also rolling out an initiative to make sure its own staff votes. Saxbys employees who leave a shift to go vote will be compensated for that time, the company said. Employees who aren't scheduled to work on Election Day will also be compensated for the time they spend going to vote. CEO Nick Bayer said in a press release that Saxbys is seeking to increase voter turnout among millennials, the generation with the lowest voter turnout in Philadelphia during the 2016 presidential election. Saxbys has around a dozen locations throughout the city and suburbs. Find a nearby store here. The coffee chain isn't the only business trying to encourage more people to turn up at the polls. Uber is working with voter outreach organizations to provide free ride promos to the polls, while Lyft is offering discounts in communities where polling place access may be more limited.